Megan focuses her practice on the defense of medical professionals and institutions in negligence and employment related matters. She also has an extensive background in general civil liability matters including product and premises liability cases. Megan regularly appears in courts across the Commonwealth and has appeared multiple times before the Court of Appeals. She has also appeared before the First Circuit Court of Appeals. Megan has secured multiple trial victories and has obtained favorable rulings on multiple dispositive motions. After graduating from law school in 2001, Megan spent a year clerking for the Justices of the Superior Court. She has a special interest in legal research and writing. 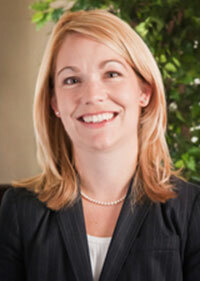 Before joining Hamel, Marcin, Dunn, Reardon & Shea, Megan spent nine years with the firm Melick, Porter & Shea. When away from the office, Megan enjoys traveling with her husband Dennis and riding her horse Panda. Interviewed for "Determining the Reliability of a Triage Tool in Med/Mal Litigation". ED Legal Letter by AHC Media. October 2018. Interviewed for "EP’s Independent Contractor Status Doesn’t Always Limit Hospital Malpractice Exposure”. ED Legal Letter by AHC Media. August 2018. Interviewed for "Some Plaintiffs’ ‘Experts’ Have Never Worked in ED". ED Legal Letter by AHC Media. December 2017. Presentation on "Nursing Documentation". New England Baptist Hospital Nursing Grand Rounds. 1 November 2017. Interviewed for "Who’s Responsible if Orders Are Written for ‘Boarded’ Patient?". ED Legal Letter by AHC Media. 14 April 2016.